Helping Washington State at-risk youth succeed in academics and life! 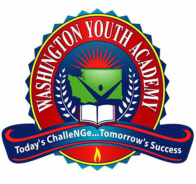 The Washington Youth Academy Foundation was established to support the students and programs of the Washington Youth Academy. 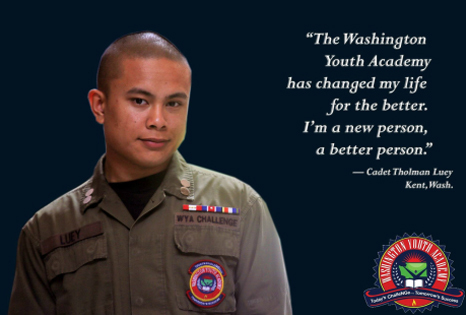 The Washington Youth Academy is part of the National Guard Youth ChalleNGe program and is a state-run residential and post-residential program for youth between sixteen and eighteen who have dropped out of high school or at risk of dropping out and offers free tuition to those who qualify. You can learn more about the Academy program and how to apply at this link [click here]. Watch a student cadet story and how it changed her life.